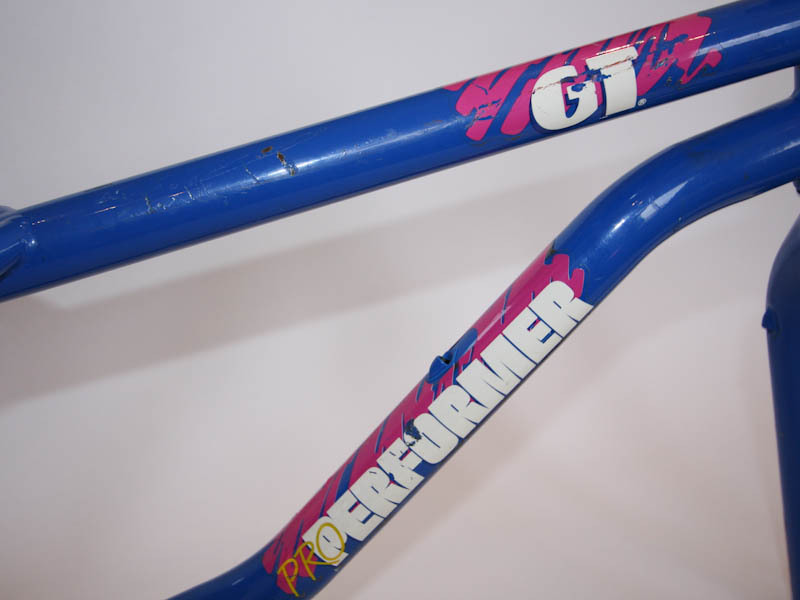 Survivor 1988 GT Pro Performer BMX frame and forks. 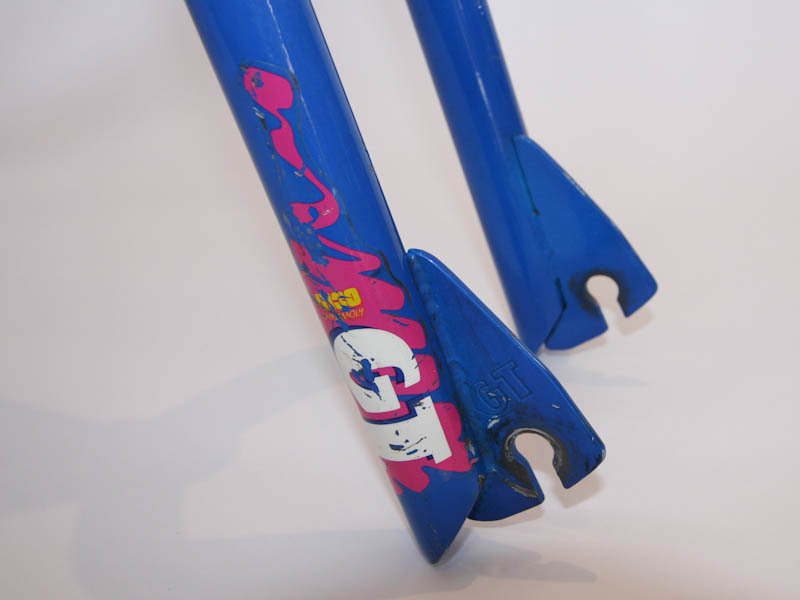 Original finish with original decals so expect the usual marks from use. 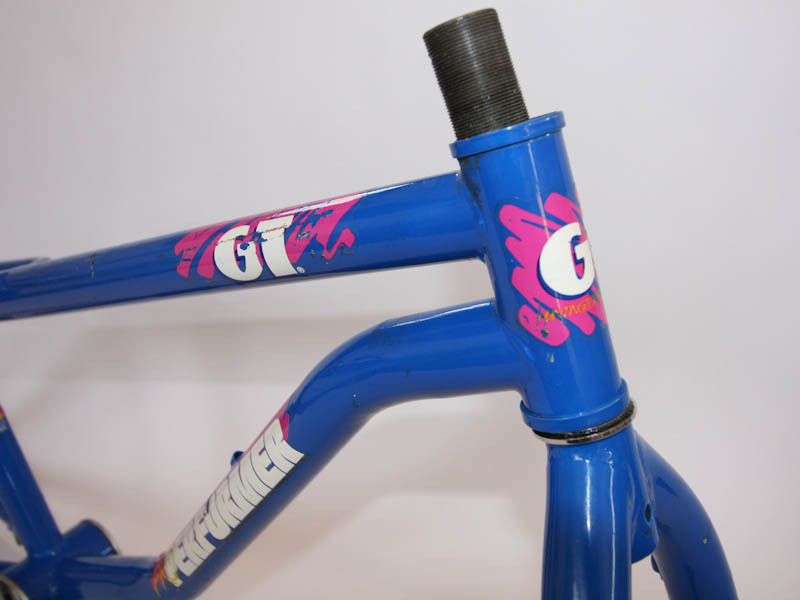 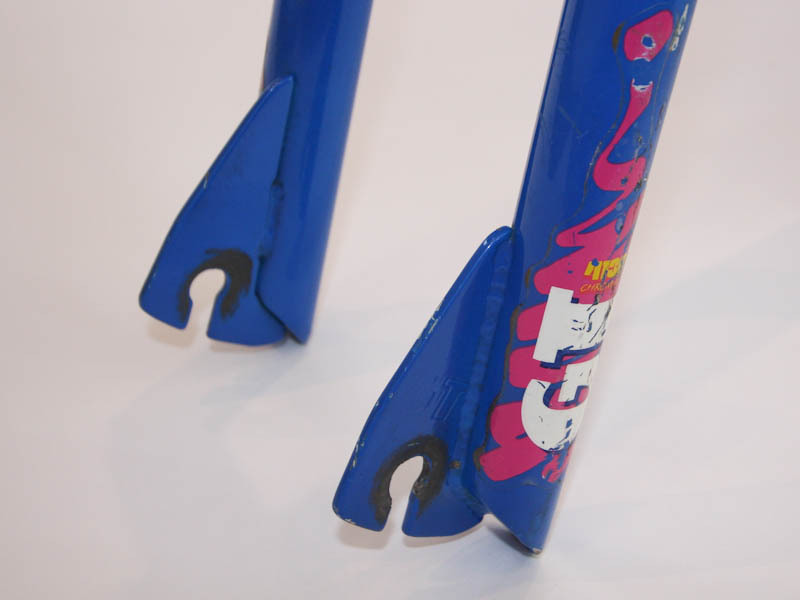 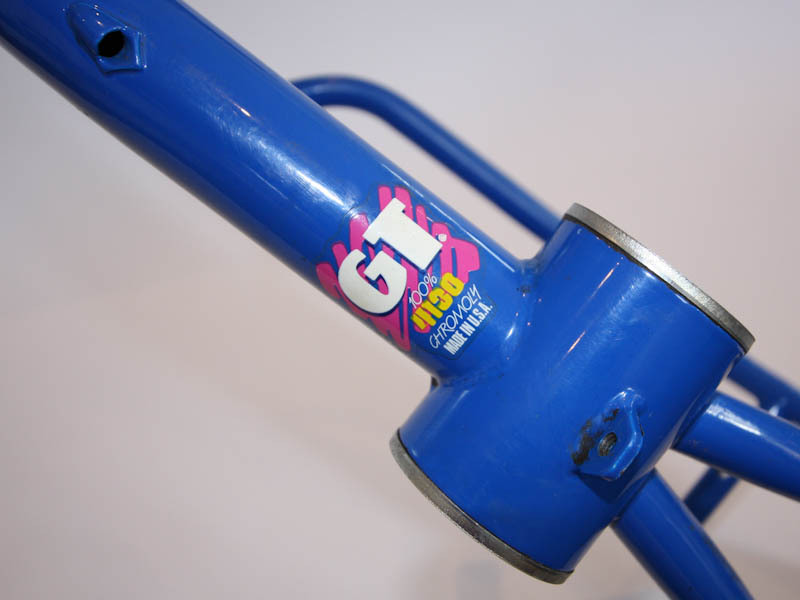 That said, both the finish and decals are in good condition for a BMX of this age. 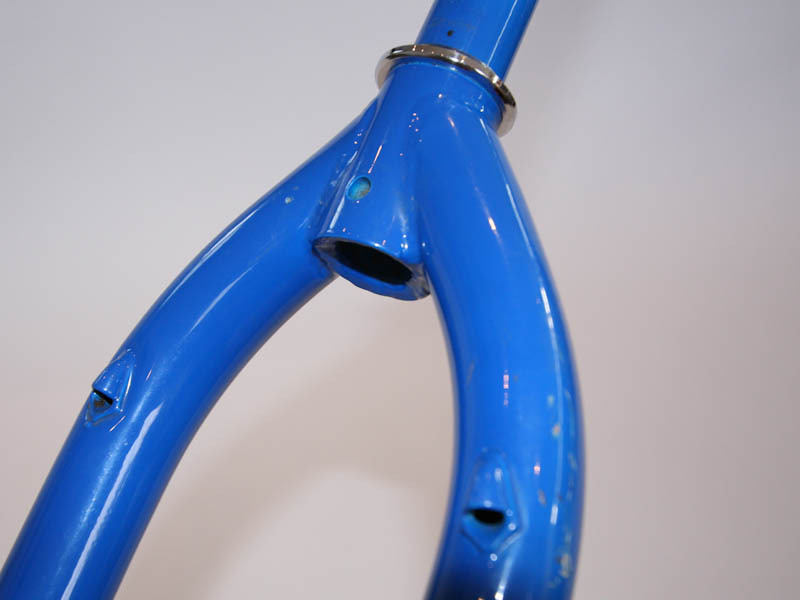 Dropouts on both the frame and forks are straight. 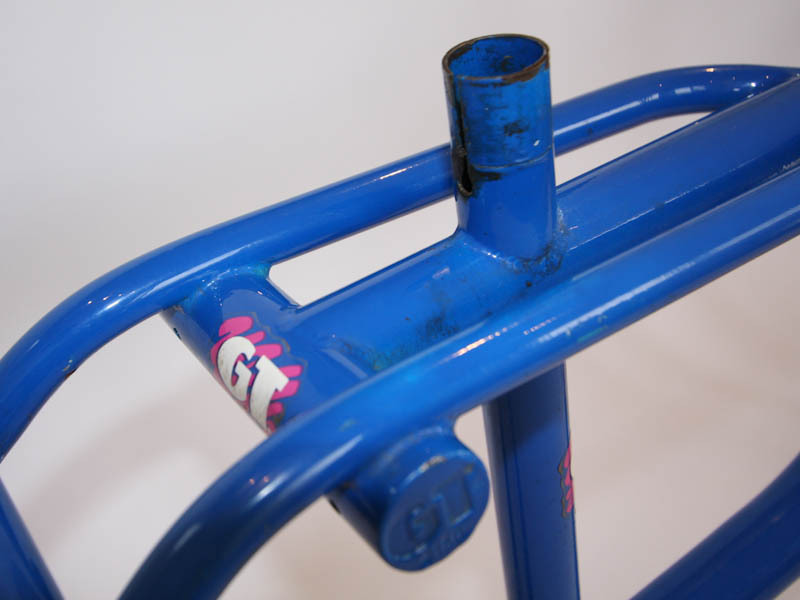 Threads on the forks are clean. 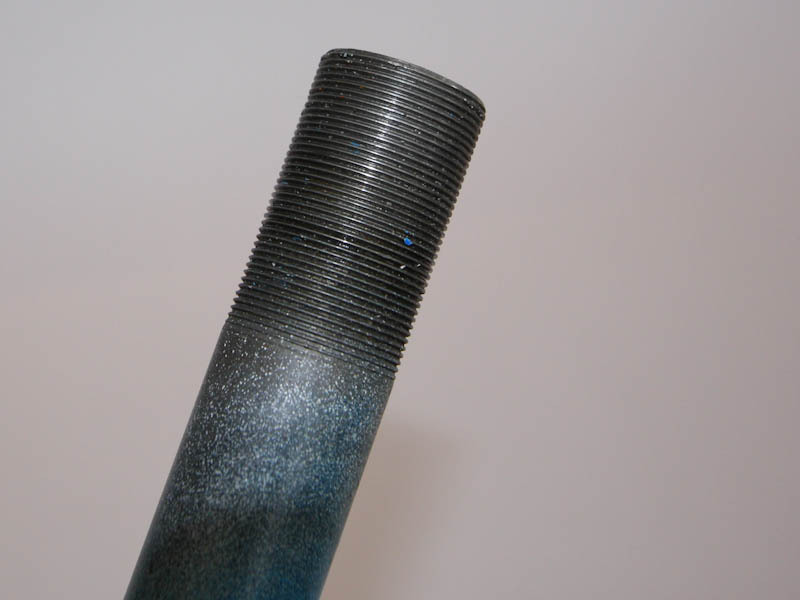 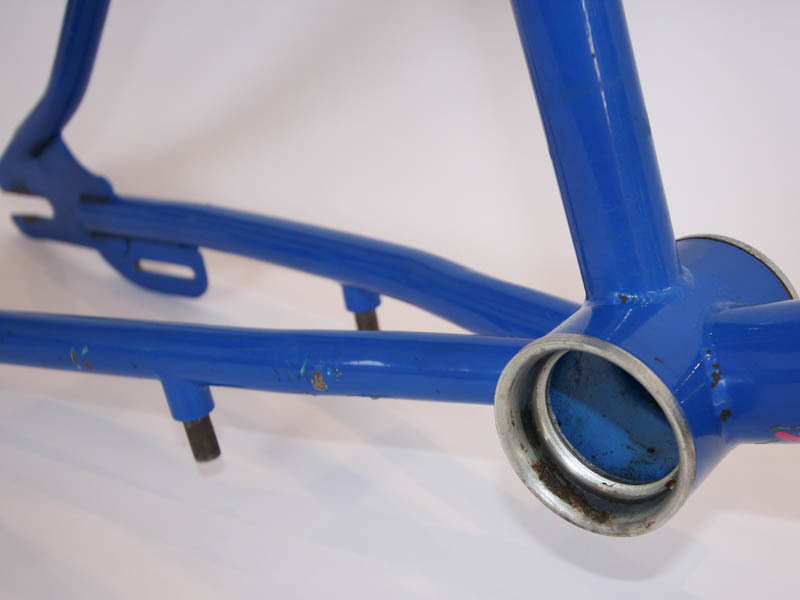 Brake tab on the bottom of the bottom bracket is not bent. 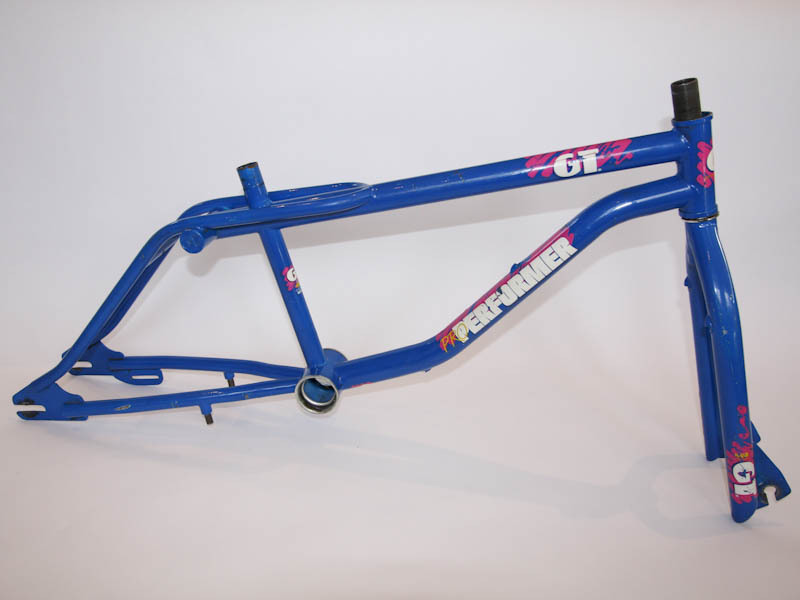 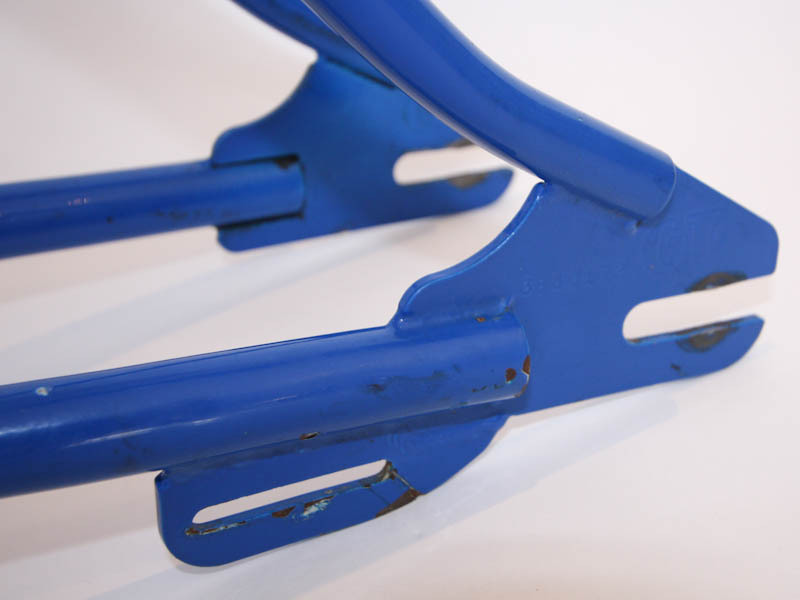 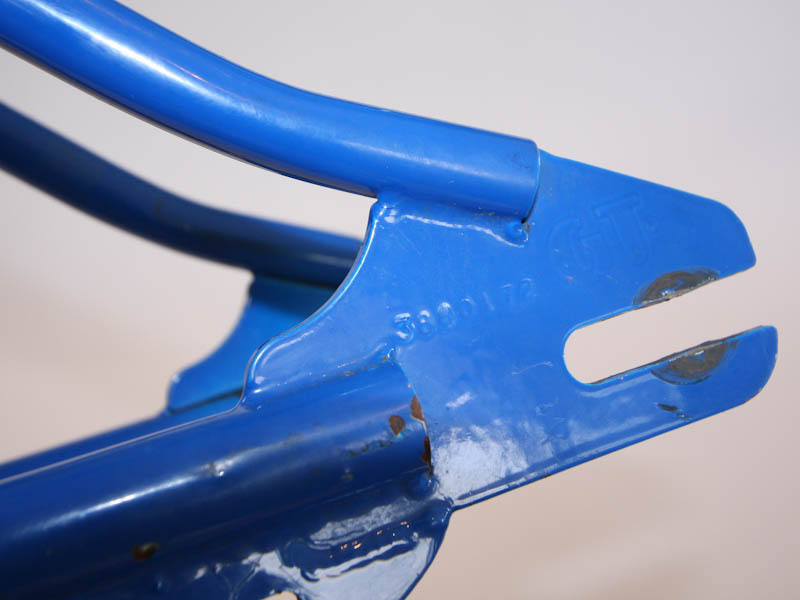 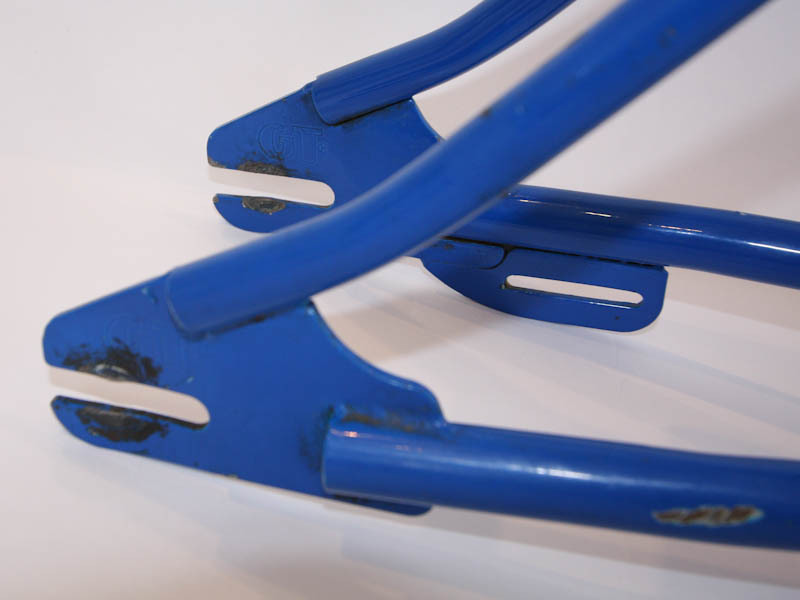 Overall, a very good survivor frame set that would make the basis of a great old school BMX rider.